The idea of organic food is a very simple one. It refers to the agricultural method of growing and processing foods, such as fruits, vegetables, grains, meats and dairy products. Organic farming resembles the origins of farming and food production, without the use of artificial chemicals, antibiotics or genetic modification. There are strict guidelines that farmers and producers must follow in order to legally label their food as organic, but, essentially it means there cannot be any artificial food additives in it. That includes artificial colors, flavors, sweeteners, preservatives or MSG. Producers who grow organic crops generally use natural fertilizers that would have been used generations ago on farms, such as animal manure and mulch. They also generally use old-style farming methods like crop rotation, ultimately improving soil quality and groundwater conservation in the process. Animals that are raised for organic meat or dairy products are not fed or injected with hormones or antibiotics. Organic farming reduces pollution, compared to modern-day farming methods, potentially making it better for the environment. What Is The ‘Dirty Dozen’? About a decade ago, an organization called the Environmental Working Group (EWG) started releasing an annual list of foods with the highest pesticide load, called the ‘Dirty Dozen’. The most recent list includes strawberries, apples, nectarines, peaches, celery, grapes, cherries, spinach, tomatoes, sweet bell peppers, cherry tomatoes, and cucumbers. These fruits and vegetables tested positive for a number of chemical pesticide residues, showing higher concentrations of pesticides than other produce on the market. The EWG found that 98 per cent of strawberry samples, peaches, nectarines and apples tested positive for at least one pesticide residue. A single sample of strawberries showed residue of 17 different pesticides, while a single grape sample and sweet bell pepper sample showed 15. According to the EWG, nearly three-quarters of the 6,953 produce samples tested by the US Department of Agriculture in 2014 showed pesticide residue. However, the claims that the ‘Dirty Dozen’ fruits and vegetables cause any harm to human health were debunked in a study published in the Journal of Toxicology in 2011. The research found that exposure to the 10 most frequently detected pesticides on the list are at negligible levels. Researchers concluded that substituting organic fruits and vegetables for the conventionally produced fruits and vegetables on the list would not necessarily have any measurable health benefits. 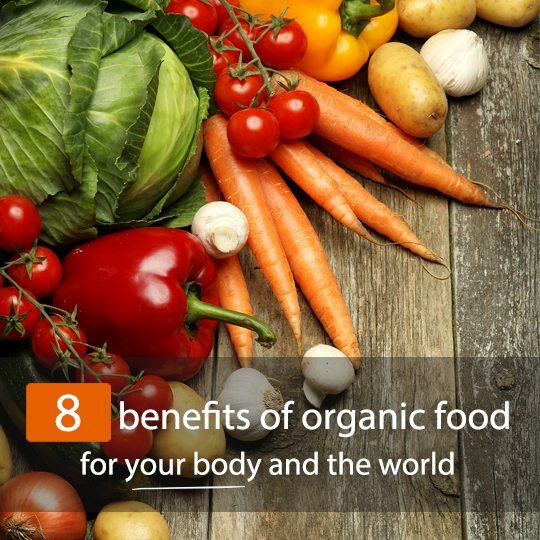 So, Does Organic Food Have Any Benefits? Antioxidant levels in organic plants can be up to 69 per cent higher than in conventionally grown foods. A number of lab and animal studies have found that healthy organic food may increase antioxidant content, helping to protect cells from damage. Scientists haven’t conclusively agreed upon why organic plants produce more antioxidants. However, one theory is that they do not need chemical pesticides to protect themselves against disease – they product their own protective compounds, which are antioxidants. Research also found that organic diets may benefit the immune system, growth and reproduction. 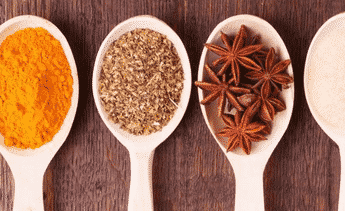 A number of comparative studies into the health value of organic foods showed lower nitrate content, less pesticide residues, and higher levels of vitamin C, phenolic compounds and omega-3 fatty acids. In a study where chickens were fed an organic diet, researchers found that the birds had reduced weight gain and had stronger immune systems. This is a sketchy one, because studies comparing the nutrient content in organic food and conventional food have come back with different results. The evidence to date suggests that organically grown food may have more nutrients, but because of the variation in production and food handling, it is a difficult subject to determine conclusively. Some research has found that, as well as providing higher antioxidant content, organic foods tend to have higher levels of important micronutrients, including vitamin C, zinc and iron. One study found that berries and corn grown organically contained 58 per cent more antioxidants and around 52 per cent more vitamin C than non-organic berries and corn. 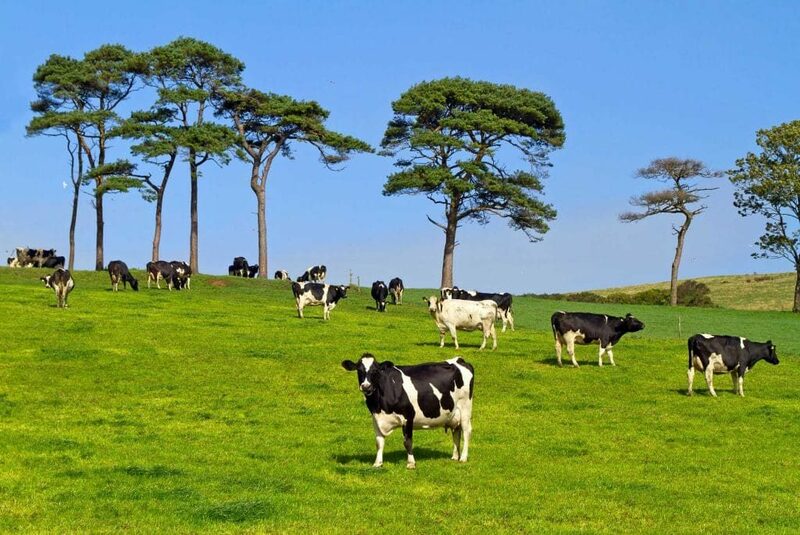 A European study published in the British Journal of Nutrition in 2016 found that organic milk and meat contains about 50 per cent more beneficial omega-3 fatty acids than conventionally produced milk and meat. In the largest study of its kind, researchers from a number of universities and research institutes, including Newcastle University, the Norwegian Institute for Biochemistry Research and Warsaw University of Life Sciences, reviewed more than 150 papers on milk and 67 papers on meat. 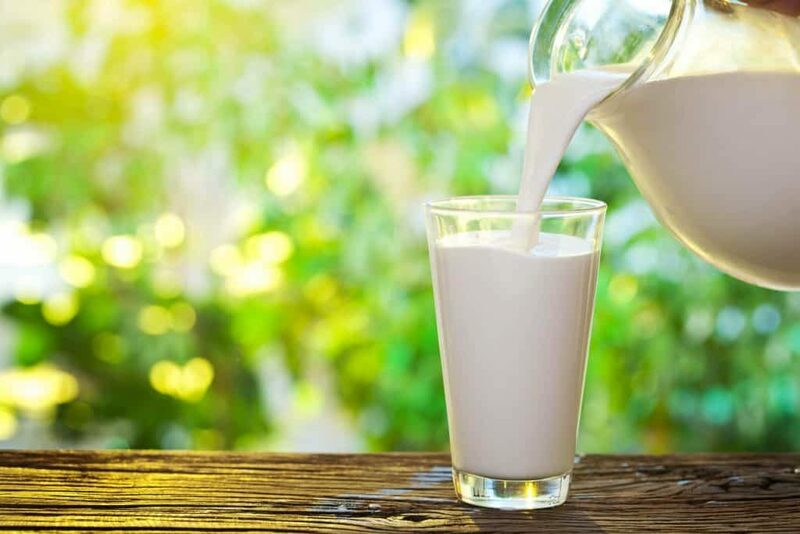 They found noteworthy differences between organic and conventionally produced milk and meat, particularly in terms of fatty acid content, but also in concentrations of some essential minerals and antioxidants. As the battle over genetically engineered food and the use of chemical fertilizers rages on, many people are choosing to opt for organic food where possible, to avoid the risk, despite the fact that there is no significant evidence to date suggesting GM foods are dangerous. There is, however, evidence to suggest that consuming organic foods may reduce your exposure to pesticide residues and antibiotic-resistant bacteria. One particular study found that levels of the extremely toxic metal, cadmium, were 48 per cent lower in organically grown produce, and pesticide residues were four times more likely to be found in conventionally grown crops. This sounds more significant than it is, because the levels of cadmium and pesticide residue in the non-organically grown produce were still below the safety limits. However, there is a concern among some scientists that cadmium can accumulate in the body, potentially causing harm in the long-term. Nitrates consist of three oxygen atoms and one nitrogen atom. When exposed to bacteria in the mouth or enzymes in the body, nitrates turn into nitrites, which then either turn into nitric oxide or nitrosamines. 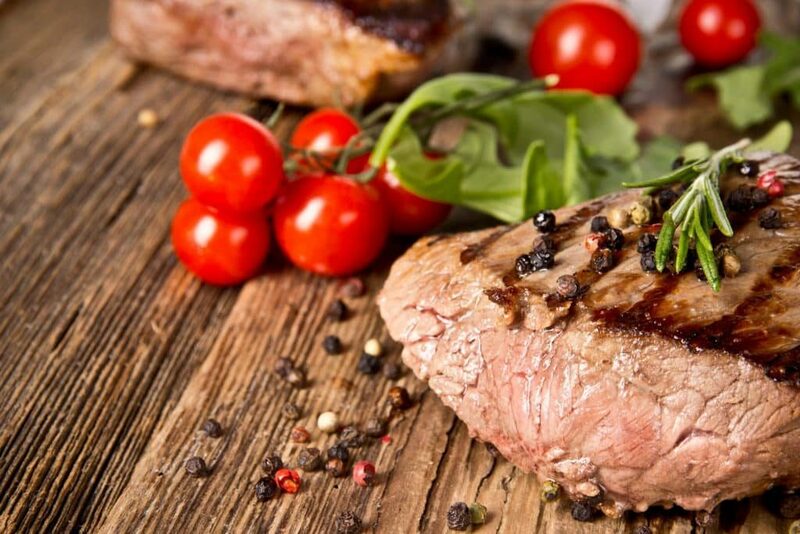 Nitric oxide is good for the body, but when nitrites are exposed to heat, along with amino acids, they can turn into nitrosamines, which are potent carcinogens. High levels of nitrate have been linked to an increased risk of cancer. Organic crops have lower levels of nitrate than conventional crops, with some studies suggesting nitrate levels are 30 per cent lower. Growth promoters, including hormonal substances and antibiotics, are legally and illegally used to increase growth of livestock animals. Injecting hormones into young animals can help them gain weight faster, meaning more meat can be produced in a shorter amount of time, with less feed expenses. Similarly, hormones increase milk production in dairy cows. This ultimately equals cheaper meat or milk for the consumer, and more profit for the producer. Organic farmers do not use antibiotics or growth hormones in animals, and, as a result, organic meat, eggs and dairy products generally contain slightly lower levels of antibiotic-resistant bacteria, according to preliminary studies. These bacteria can result from the overuse of antibiotics and can be passed to humans who consume the products. Similarly, the use of hormones in livestock is still highly controversial, and, while it is difficult for scientists to study because hormones are also naturally present in food and in the human body, some research suggests that added synthetic hormones may contribute to early puberty in females and potentially even increase the risk of certain cancers. This benefit is not contested at all. It is a known fact that animals raised organically for meat, or to produce dairy products or eggs, have a much better and natural quality of life. Organically raised animals actually have more freedom than those labeled ‘free-range’ or ‘free-roaming’. Free-range simply means they have access to the outdoors, but there is no standard for how much access they have, or whether they deem it safe to leave their indoor environment when they are offered outdoor time. 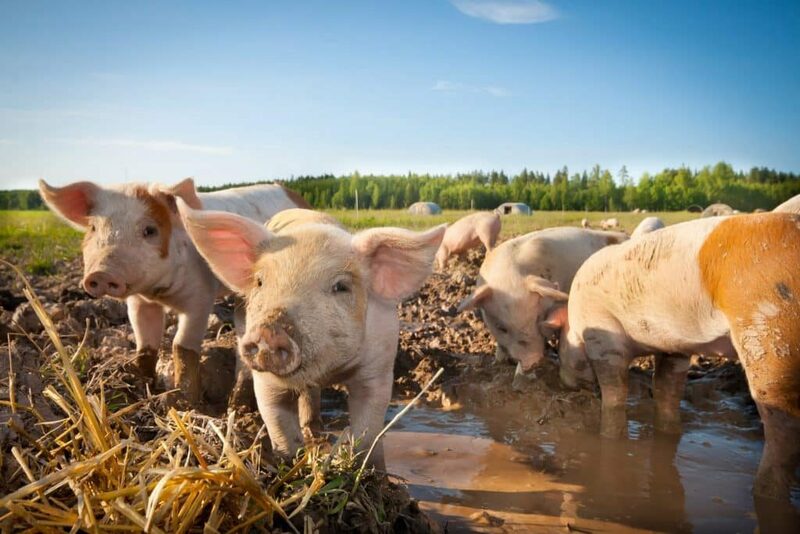 Organically raised animals, on the other hand, have greater access to the outdoors, sunlight and clean water, as well as veterinary treatment when necessary. They are fed organic food and live in a similar environment to their ancestors, whereas conventionally grown animals can be raised in tiny indoor cages, like battery hens, for example, or pigs in sow stalls or gestation crates, with little or no room to move and no exposure to natural light. Some of these farming practices have been banned in certain parts of the world, but they remain common practice in most US states. There are a number of benefits to the environment through organic farming rather than conventional farming. For a start, it encourages sustainability over the long-term. Changes in the environment occur slowly over time, and organic agriculture looks at the medium and long-term effect of their agro-ecosystems. 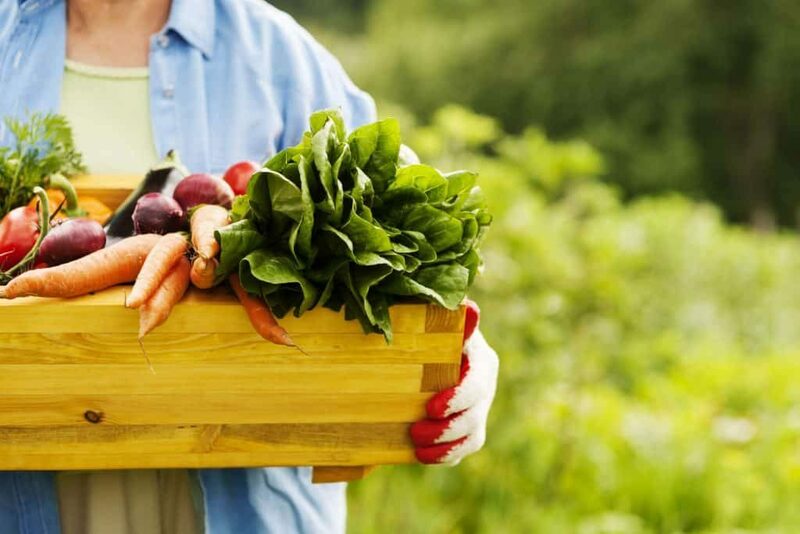 The ethos of organic farming involves an ecological balance, taking a proactive approach, instead of treating problems as they emerge with things like chemicals. Environmentally-friendly methods like crop rotation, inter-cropping, symbiotic associations and minimum tillage are used to improve soil, encouraging natural formation and structure and creating more stable systems. This increases nutrient and energy cycles and improves the soil’s nutrient and water retention ability. 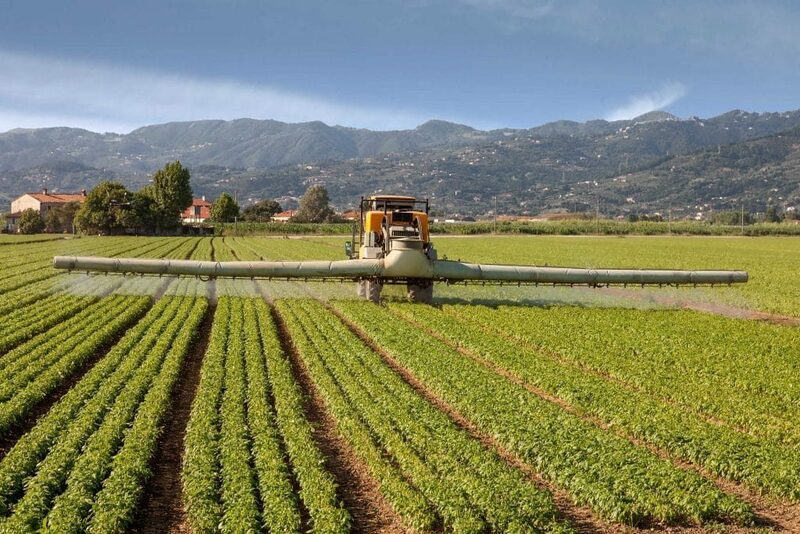 Synthetic fertilizers and pesticides, used in non-organic farming, have caused significant groundwater pollution, which has become a major problem in certain areas all around the world. Organic farms are prohibited from using chemical fertilizers and pesticides, significantly reducing groundwater pollution. In particularly affected areas, converting to organic farming is being used as a restorative measure. Organic agriculture also helps farmers adapt to climate change by strengthening agro-ecosystems, diversifying crop and livestock production, and building farmers’ knowledge of the earth. On top of that, organic farming reduces non-renewable energy use by decreasing the need for chemicals, which require high quantities of fossil fuel to be produced. It sequesters carbon in the soil, helping to mitigate the greenhouse gas effect and global warming, however, the research conducted on this so far is rather limited. In terms of biodiversity, organic farming takes into account gene adaptation, local ecosystems and species to improve disease resistance, soil, gene pools and local wildlife habitats. A study that looked at 766 scientific papers on the matter concluded that organic farming produced more biodiversity than other farming systems. So, Is It Really Worth Spending More On? There is evidence, although it is relatively limited at the moment, to suggest that organic food does have some health benefits to humans. It may contain more antioxidants and other nutrients than some conventionally grown food, but the evidence to date is mixed in that regard. There is evidence that organic food reduces the risk of exposure to chemical pesticide residues, hormones and antibiotic-resistant bacteria, and increases healthy fatty acids. 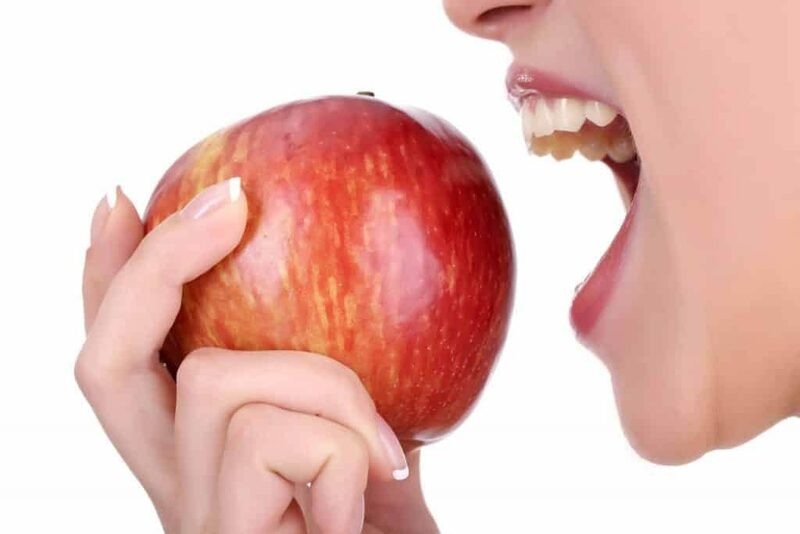 It is also worth noting that, as well as costing significantly more, natural organic foods, especially fruits and vegetables, will most likely spoil faster than other foods. However, if animal welfare and environmental conservation are of concern to you, then organic food is, without a doubt, worth the extra expense. How Do I Know If Something Is Really Organic? Food labeling has been a cause of concern for some time, in relation to understanding ingredients and nutritional information. However, organic food labeling is relatively simple. 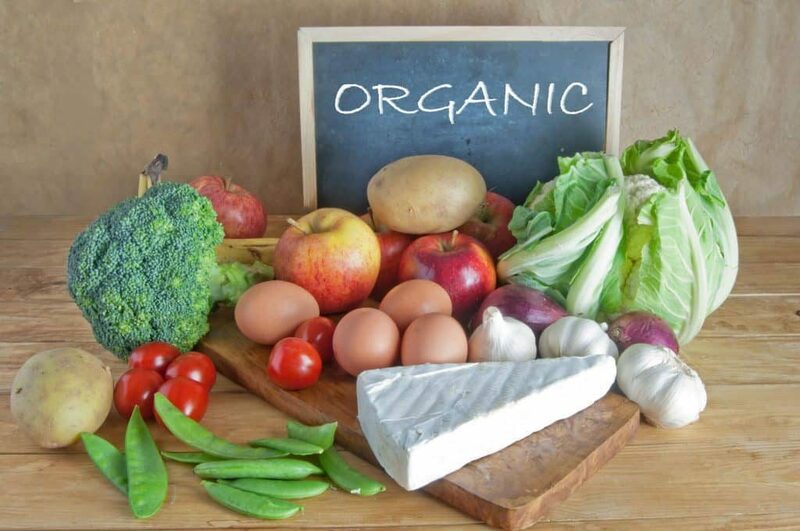 The US Department of Agriculture has established a strict organic certification program that requires organic producers to meet a number of stringent standards. These cover everything from how food is grown to how it is handled and processed. Similarly, Europe and Australia have their own certified organic labels that also follow strict regulations about farming, production and handling. I had heard in the past that organic foods were a healthy choice but I was curious as to what exactly made them healthier. You wrote that they have lower nitrate levels, which in certain circumstances can turn into carcinogens. Definitely would want to avoid carcinogens, as those can be quite bad for you. Thanks for the informative website. That’s really cool that organic food is full of micronutrients and antioxidants. I want to start eating healthier, while not giving up on snacking. I should look into finding organic treats that I could eat instead of the stuff I am currently snacking on so that I can get those nutrients.